Science Inquiry Based Learning In The Library! This year, we have a few new ENCORE or specialists in our building. I love our new librarian, music teacher, EBD teacher, and of course I already loved our PE and art teachers. We make a great team. This year, with our new librarian we are working on incorporating each of our special areas and tying it into the library through inquiry based learning. I took a summer class based on this way of teaching science and due to the fact that we use FOSS I have been trying to twist our questions to fit this model. 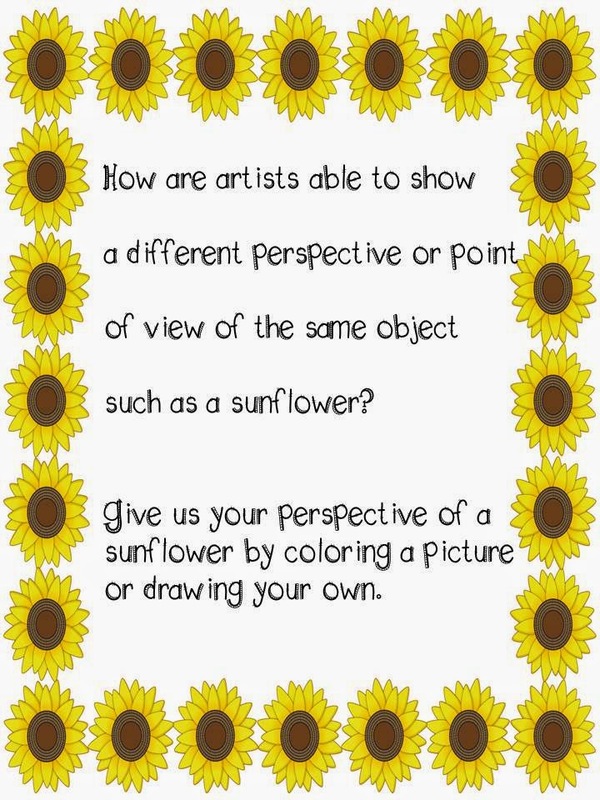 This week, in the library corner we are focusing on seeds and sunflowers. We just harvested them from our school garden. Take a look at how the art teacher and librarian have helped make this corner wonderful! An inquiry question and activity!